If you are developing now in Angular 1.x with an eye toward Angular 2, the best thing you can do is to write your Angular code with TypeScript. Angular 1.x code you write in TypeScript today will look very similar to code you will write in Angular 2 tomorrow (not literally tomorrow!). 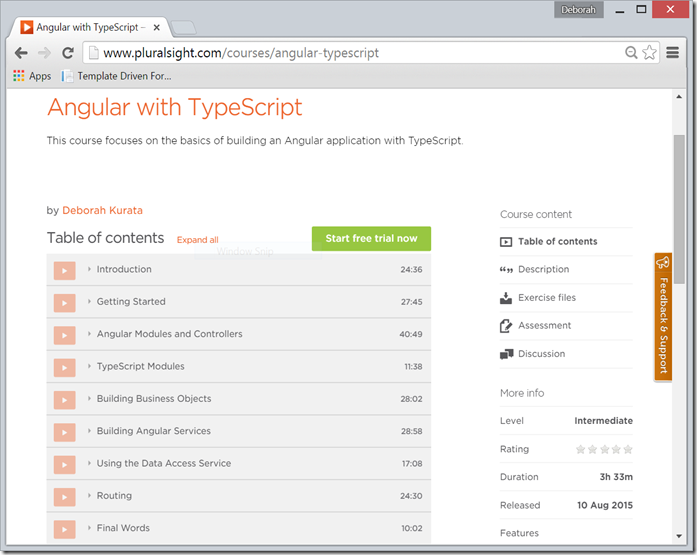 At a recent Angular conference, the members of the Angular team from Google stated that one of the best ways to code now in Angular 1.x in preparation for Angular 2 is to use TypeScript. And the resulting files execute in any of today’s browsers on any OS. This makes development, debugging, and refactoring easier. Plus it clarifies the developer’s intent. For example, we can define that a function is meant to take in a string. Not a number, not an object, just a string. 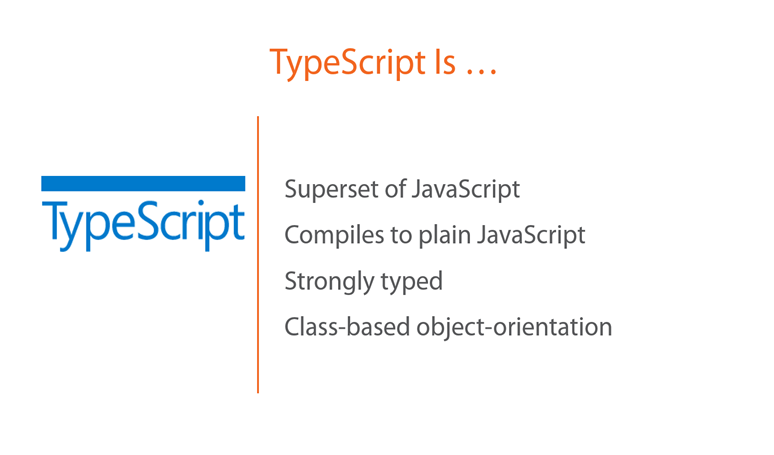 And TypeScript provides class-based object-oriented programming techniques. So we can optionally think of our code in terms of objects with properties and methods. Here is the code for an Angular controller, written using the class-based object-oriented programming techniques available in TypeScript. 1) Modify the tsconfig.json file for the project. 2) Run the TypeScript compiler on the folder for the project. Let’s look at both of these steps in detail. NOTE: The intellisense does not seem to know about the “watch” option. So you won’t see it in the list of available compiler options. But it does work. You can manually run the TypeScript compiler from within VS Code by using Ctrl+Shift+B (or Cmd+Shift+B). Alternatively, you can manually run the TypeScript compiler from the command window (also called a terminal). 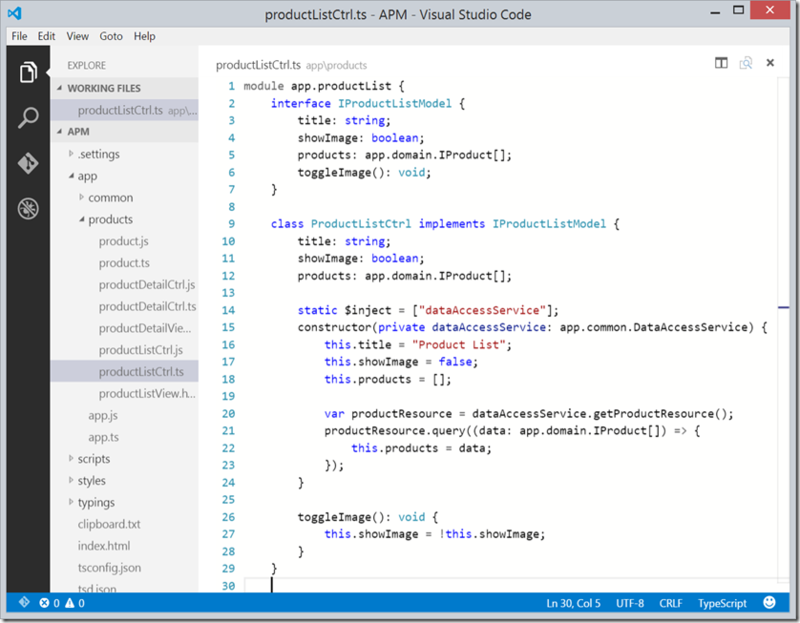 1) Right-click on the index.html file in the VS Code Explore pane and select Open in Console. This opens a command window defaulted to the current project directory. HOWEVER, if you have the watch compiler option set to true as shown in the code example above, running tsc here produces a different result. In this case, the TypeScript compiler will immediately transpile all of the TypeScript code in the directory (and subdirectories). But then, it will start watching for changes. Any change it sees to the files in the directory will automatically be transpiled. Notice in the screen shot below that it watched me make 3 changes and compiled after each of them. If you leverage VS Code’s AutoSave feature, and turn on the watch following the two steps detailed above, then the TypeScript compiler will transpile your TypeScript files every time you make a change. Thanks to Greg who posted this suggestion to the Discussion forum for my Pluralsight course.